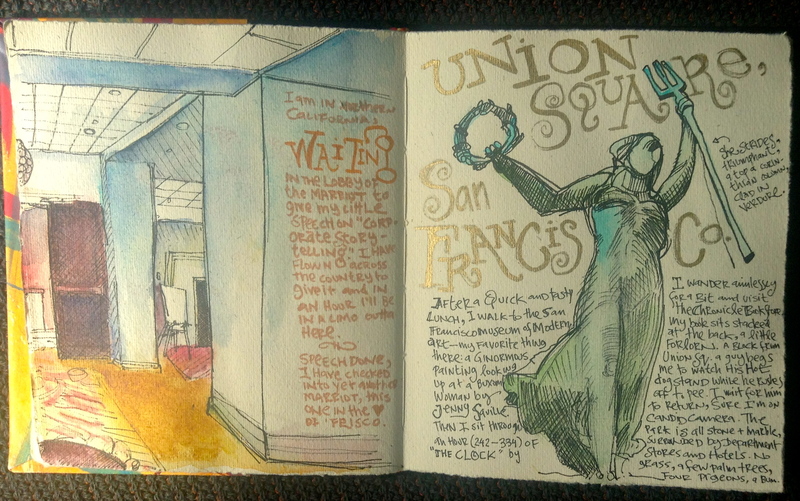 Here are a few souvenirs from my whirlwind tour to San Francisco. I spent some time at the San Francisco Museum of Modern Art. I really love Jenny Saville’s work. This painting is about 10 feet tall. It’s super raw but also almost photographically rendered in places. Super fleshy . She’s a disciple of Lucien Freud. And I’m a disciple of a disciple of a disciple of Lucien Freud. I love to take photographs in museums but I almost always get in trouble when I do. The San Francisco Museum of Modern Art has a crazy rule that you cannot wear a backpack with both straps on. It has to hang off one shoulder or else a guard will come over and correct you. Mysterious and strange. like so much Modern Art. These pages were drawn in idle and potentially bored moments and turned out to be the best things I got from the trip. Watercolor, PITT artist pen, gold ink. Left: Watercolor, PITT Pen, waterbrush. Right: India ink, dip pen. Fun and fascinating…instead of boredom. I love your art journals. thank you for sharing. New to the blog. I thoroughly enjoyed your post. 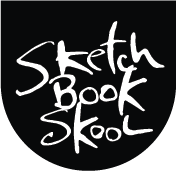 Love the pics of your journal/sketch/doodle book. Awesome! Great Post, Please Check it out. Nice to know you were in my neighborhood! Did you sell many hot dogs? 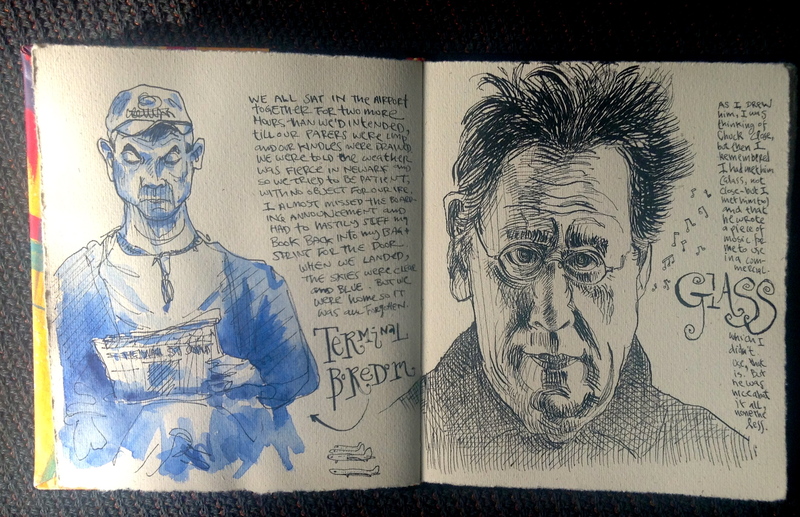 These are terrific pages … Love especially the last guy done in black ink … So many details on face and hair. 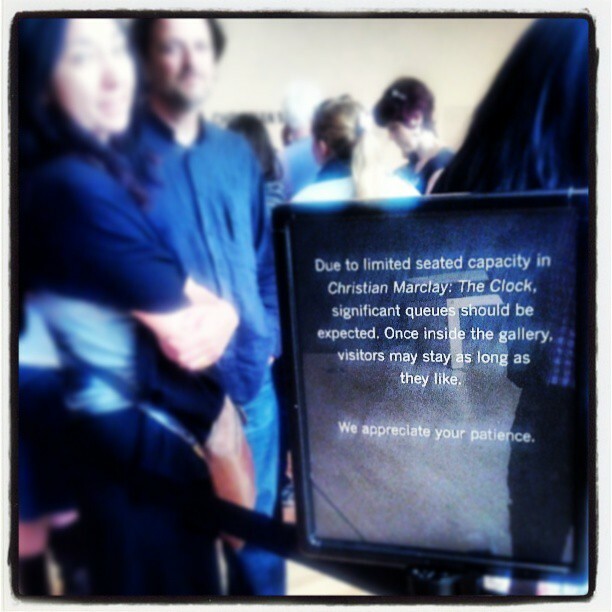 I always get in trouble at museums in San Franciso too. Standing too close, back pack wrong, too many damn rules, I think all the guards are ex teachers or prison personnel! Must be! I always feel like I’m about to be sent to the principal’s/warden’s office! Glad you enjoyed San Francisco! 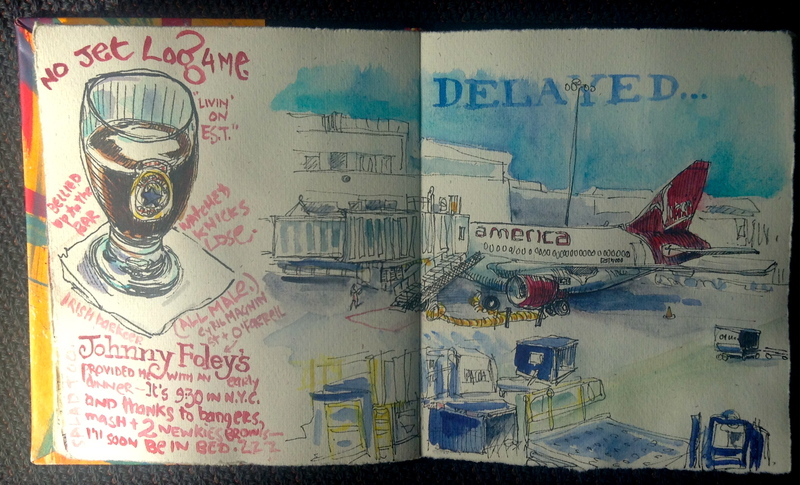 I love art journals and yours are particularly great examples! I can never understand why photography is so often prohibited in museums and galleries either, there’s so much inspiration but no way of keeping a lasting record of it to take away! This is an issue because artists don’t want copies of their art sold without permission and without compensation. Really? I’ve never heard that museums give artists money from the proceeds of their sales of postcards and posters. The usual reason given is that flash photography exposes the work to damaging light. Great photo of Jenny Saville’s monumental piece — love the perspective. And your journal entries are always a pleasure — thanks for taking us along. the pages and the book, close up are beautiful – did you bind this one yourself?